Product prices and availability are accurate as of 2019-04-25 12:26:15 EDT and are subject to change. Any price and availability information displayed on http://www.amazon.com/ at the time of purchase will apply to the purchase of this product. 85 days. Earlier to mature than older butternut varieties, with a sweet, nutty flavor. The fine-textured tan fruits arise on compact vines. 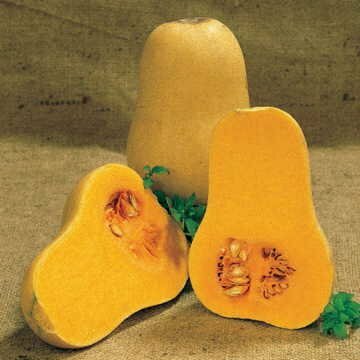 This fruit stores superbly.Winter squash has great storage ability. 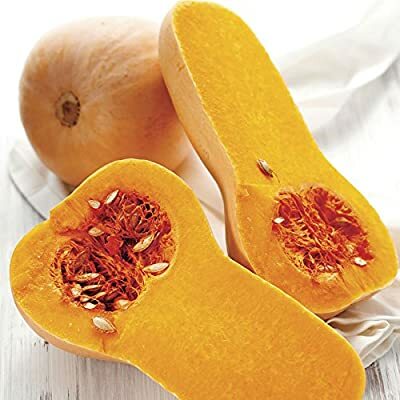 It is grown like summer squash (sown 1 inch deep after all danger of frost), but the seeds should be spaced 4 to 6 feet apart. Harvest it when the plants die back or just before frost. Cut and cure the fruit in a well-ventilated area, then store at 50 to 55 degrees Fahrenheit. Pkt is 20 seeds. Approximately 200 seeds per ounce.